If your child doesn’t enjoy reading, boredom may not be the problem. It is not uncommon for young readers to find that their minds wander during reading due to reading comprehension problems or underdeveloped reading skills. Your child may not be able to tell you why they dislike reading, and you may mistake their frustration and inability to focus as disinterest, boredom or even rebellion. Since the ability to read provides the foundation for all future learning, it is important not to ignore the problem or give in to frustration and tell your child that reading well is not important. 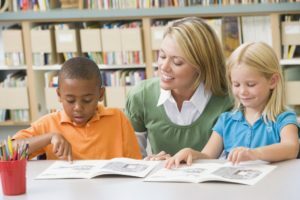 If you think your child could use some extra help getting their reading skills up to par, find an auditory processing disorder treatment that may be a good fit. There is no medication available for auditory processing disorder, but treating other accompanying conditions such as anxiety or ADHD with medication may help lessen the effects of auditory processing disorder in some children. It is important to talk with your child’s doctor when assessing whether or not medication is the right choice of action for your child’s symptoms. How Can Non-Medicinal Treatment Help? Although there is no medication for auditory processing disorder, there are programs available that effectively help kids learn how to recognize sounds and read words more fluidly. These programs focus on building a strong foundation of reading skills in younger children and developing reading comprehension and critical thinking in older kids. These programs are designed to discover and address the root cause of your child’s comprehension and improve cognitive function. Children who successfully complete auditory processing disorder test in NJ may find themselves good candidates for programs like the Fast ForWord home tutor typically improve in the following areas: sequencing, attention, processing rate, vocabulary, reading skills, recall and grammar. These skills help children attain higher levels of success academically as well as socially. Kids who know how to read and learn effectively are more likely to become competent adults and successful professionals later on in life. What Should Parents Know About Self-Regulation and Childhood Development?